David Filip is Chair (Convener) of OASIS XLIFF OMOS TC; Secretary, Editor and Liaison Officer of OASIS XLIFF TC; a former Co-Chair and Editor for the W3C ITS 2.0 Recommendation; Advisory Editorial Board member for the Multilingual magazine; Co-Chair of the Standards Interest Group at JIAMCATT. His specialties include open standards and process metadata, workflow and meta-workflow automation. David works as a Moravia Fellow at the ADAPT Research Centre, Trinity College Dublin, Ireland. Before 2011, he oversaw key research and change projects for Moravia’s worldwide operations. 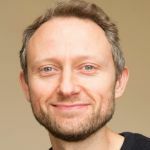 David held research scholarships at universities in Vienna, Hamburg and Geneva, and graduated in 2004 from Brno University with a PhD in Analytic Philosophy. David also holds master’s degrees in Philosophy, Art History, Theory of Art and German Philology. Does your Tool Support XLIFF 2? This will be a hands on workshop for up to 15 participants. Participants will be required to bring their own laptops and supply their own legally obtained and valid licenses (can be evaluation licenses) of tools whose XLIFF 2 capability they’ll want to verify in the workshop. In the workshop, participants will learn about free and open source tools that can be used to verify XLIFF 2 support in CAT tools AND how to use those tools for that end. The resources employed will be the OASIS XLIFF TC hosted XLIFF 2 test suites, OKAPI XLIFF Toolkit Lynx validation service and command line tool. oXygen XLIFF framework, OASIS hosted XLIFF 2 validation artifacts, FREME Framework XLIFF services, Microsoft XLIFF 2 Object Model, Xmarker validation service etc. This workshop will provide actionable knowledge and skills with regards to validating XLIFF 2 support thus giving the participants the practical ability to verify tool makers’ marketing claims about their XLIFF 2 support. 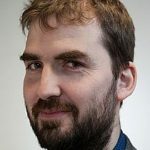 Joss Moorkens is an Assistant Professor of Translation Studies in the School of Applied Language and Intercultural Studies in Dublin City University (DCU) and a researcher in the ADAPT Centre and the Centre for Translation and Textual Studies. Within ADAPT, he has contributed to the development of translation tools for both desktop and mobile. He is co-editor of a book on human and machine translation quality and evaluation (due in 2018) and has authored journal articles and book chapters on topics such as translation technology, post-editing of machine translation, human and automatic translation quality evaluation, and ethical issues in translation technology in relation to both machine learning and professional practice. Kristiina Abdallah has worked as a translator, subtitler and technical writer. 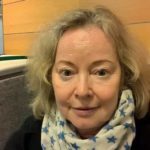 Since 2001 she has held various positions at the University of Tampere, namely that of an assistant, a lecturer and researcher. As of 2010 she has worked as a university teacher, first at the University of Eastern Finland, and currently at the Universities of Vaasa and Jyväskylä. She defended her doctoral thesis entitled Translators in Production Networks. Reflections on Agency, Quality and Ethics in 2012. Her research interests are translation sociology and, more specifically, translators’ workplace studies. The profession of translation has moved at a greater pace than many others towards contingent and freelance work. These work practices, coupled with greater use of technology, continue to change the nature of translation work, with associated effects on translator’s agency and autonomy. Following on from our proposed main-track session on agency and work practices in translation production networks, in this workshop we will present a short summary of our work and thoughts on contingent work in translation, highlighting opportunities to maximise agency. The main purpose of this session, however, is to facilitate a discussion about working standards for translators and satisfaction with technology, and the effects of these influences on job satisfaction and translation quality. Related to these are considerations of productivity expectations and income, and whether participants’ experiences with both are realistic and fair. Finally, we wish to consider how translators’s agency and sense of purpose could be maximised in translation production networks. Dr Anja Rütten (Sprachmanagement.net) is a freelance conference interpreter for German A, Spanish B, English and French C based in Düsseldorf, Germany since 2001. Apart from the private market, she works for the EU institutions and is a lecturer at the TH Cologne. She holds a degree in conference interpreting as well as a phD of the University of Saarbrücken (doctoral thesis on Information and Knowledge Management in Conference Interpreting, 2006). As a member of AIIC, the international conference interpreters’ association, she is actively involved in the German region’s working group on profitability. She has specialised in knowledge management since the mid-1990s and shares her insights in her blog on www.dolmetscher-wissen-alles.de. Ever since the 1990s, sophisticated terminology management systems have offered a plethora of data fields and management functions to translators, terminologists, and conference interpreters. Nevertheless, interpreter-specific tools have been developed in parallel to suit their special needs. They were mostly inspired, at least initially, by one or very few users and developed by a single developer or a very small team. The intention of this workshop is to give interpreters and other interested participants an overview on which tools are available for their terminology work, highlighting the pros and cons of each of them. Providers and developers of terminology management systems will get valuable insight on the specific needs of conference interpreters and the reasons why, if using terminology management systems at all, conference interpreters tend not to use the sophisticated term databases translators or terminologists use. Some of the tools presented are not being further developed any more, and no support is offered. As they still run perfectly well in the versions at hand, they will nevertheless be shown in order to complete the picture. Due to time restrictions, some tools will be shown “live” and others with the help of screenshots. Due to time restrictions, only the most relevant aspects of terminology management in conference interpreting will be addressed. Which solution is best for filtering and categorising my terminology? Which one offers the best search function for the booth? Which one is best for sharing glossaries and online collaboration, or most convenient for mobile use? Information on price models and supported operating systems will also be provided. If time allows, generic solutions like Microsoft Excel/Access and Google Sheets will also be discussed as an alternative to interpreter-specific tools. Word and character counts are the basis of virtually all metrics relating to costs in the L10N Industry. An enduring problem with these metrics has been the lack of consistency between various computer assisted tools (CAT) and translation management systems (TMS). Notwithstanding these inconsistencies there are also issues with common word counts generated by word processing systems such as Microsoft Word. Not only do different CAT and TMS systems generate differing word and character counts, but there is also a complete lack of transparency as to how these counts are arrived at: specifications aren’t published and systems can produce quite widely different metrics. To add clarity, consistency and transparency to the issue of word and character counts the Global Information Management Metrics Volume (GMX-V) standard was created. Starting with version 1.0 and then as version 2.0 GMX-V addresses the problem of counting words and characters in a localization task, and how to exchange such data electronically. This workshop goes through the details of how to identify and count words and characters using a standard canonical form, including documents in Chinese, Japanese and Thai, as well as how to exchange such data between systems. Danielle D’Hayer is an associate professor in interpreting studies at London Metropolitan University. She is the course director of the MA Conference Interpreting, the MA Interpreting, MA Public Service Interpreting and interpreting short courses that include a Training the Trainers for Interpreting Studies programme and a portfolio of Continuous Professional Development (CPD) activities. These courses, which she developed single-handedly, have attracted both professional interpreters and novices from the UK and abroad. Danielle researches communities of practice for interpreting studies. Her main interests include innovative ways to enhance formal and informal blended leaning using social media, new technologies and on-line platforms. You can follow her on Twitter @DDhayer. 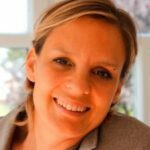 Dr Anja Rütten (Sprachmanagement.net) is a freelance conference interpreter for German A, Spanish B, English and French C based in Düsseldorf, Germany since 2001. Apart from the private market, she works for the EU institutions and is a lecturer at the TH Cologne. She holds a degree in conference interpreting as well as a PhD of the University of Saarbrücken (doctoral thesis on Information and Knowledge Management in Conference Interpreting, 2006). As a member of AIIC, the international conference interpreters’ association, she is actively involved in the German region’s working group on profitability. She has specialised in knowledge management since the mid-1990s and shares her insights in her blog on www.dolmetscher-wissen-alles.de . Alexander Drechsel has been a staff interpreter with the European Commission’s Directorate-General for Interpretation since 2007. He has studied at universities in Germany, Romania and Russia and his working languages are German (A), English (B), French and Romanian (C). 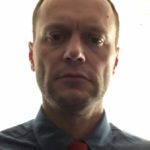 Alexander is also a bit of a ‘technology geek’ with a special interest in tablets and other mobile devices, and regularly shares his passion and knowledge with fellow interpreters during training sessions and on the web at http://www.tabletinterpreter.eu/ . 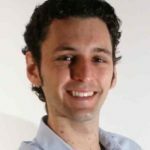 Joshua Goldsmith is an EU-accredited interpreter working from Spanish, French, Italian and Catalan into English. 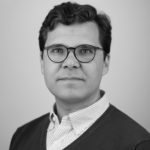 He splits his time between interpreting and working as a trainer and researcher at the University of Geneva, where he focuses on the intersection between interpreting, technology and education. 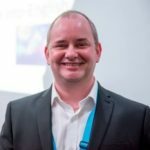 A lover of all things tech, Josh shares tips about technology and interpreting in conferences and workshops, the Interpreter’s Toolkit column ( https://aiic.net/search/tags/the-interpreter’s-toolkit ), and on Twitter (@Goldsmith_Josh). Marcin Feder has been an interpreter at the European Parliament since 2003 and the Head of the Polish Interpretation Unit from 2012 to 2016. He is now the Head of Interpreter Support and Training Unit and the acting Head of Multilingualism and Succession Planning Unit. He studied at Adam Mickiewicz University in Poznan, Poland (MA in English and PhD in Linguistics focusing on Computer Assisted Translation) and Monterey Institute of International Studies, USA (Junior Fulbright Scholarship). These days, apart from the regular managerial duties, his main interests are the use of tablets in the booth, new technologies to support interpreters in their daily work and all things paper-smart. He is also an avid runner. 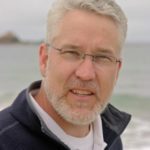 Barry Slaughter Olsen is a veteran conference interpreter and technophile with over two decades of experience interpreting, training interpreters and organizing language services. He is an associate professor at the Middlebury Institute of International Studies at Monterey (MIIS), the founder and co-president of InterpretAmerica, and General Manager of Multilingual Operations at ZipDX. He is a member of the International Association of Conference Interpreters (AIIC). Barry is the author of “The Tech-Savvy Interpreter” a monthly column and video series published in Jost Zetzsche’s Tool Box Journal focusing on interpreting technology. For updates on interpreting, technology and training, follow him on Twitter @ProfessorOlsen. Technology has the potential to shape the future of interpreting. Indeed, it has already begun to do so. From tools that assist interpreters to devices that may replace them altogether, technologies for delivering interpreting services to tools to teach interpreting, this panel discussion will span the gamut of technology in interpreting, considering current developments and future innovations. A panel of leading practitioners, researchers and trainers with experience in the private and institutional markets will invite audience members to engage with the state-of-the-art of technology in our industry. ● innovations in virtual reality. Join us for this interactive conversation about the present and future of technology for interpreters, and consider how these technologies may shape your personal practice and the industry as a whole. 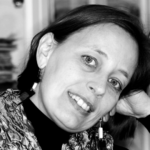 Judith Klein (MA Information Science) has over 18 years’ experience in language technology. She joined STAR Germany in 1999 where she works as an expert in support, training and consulting for STAR’s language technology tools. Her most recent interest lies in STAR’s MT technology. Before she came to STAR, she worked in the Language Technology department at the German Research Center for Artificial Intelligence (DFKI) in Saarbrücken. Having developed both STAR Transit (translation memory system) and STAR MT (machine translation platform), STAR has combined these into a single integrated solution. Transit creates training packages for the MT using existing TM and terminology. STAR routinely extracts text from any file format and leverages terminology to ensure that MT engines are optimally trained for the customer’s translations. (1) In the translation process with Transit, files are imported, pretranslated with TM and any untranslated segments transferred to the MT engine. MT suggestions are then sent back. MT integration has been made as simple as possible for translators: During project exchange, MT suggestions are automatically packed into the project package. Translators therefore do not require access to the MT system as they receive the MT suggestions with the project. (2) STAR MT Translate is a browser solution that gives staff access to the trained STAR MT engines. Sentences, paragraphs or documents are transferred to STAR MT, which then returns machine translations. The company-specific texts contain translation suggestions that use their corporate terminology and style, allowing customers to create an in-house, real-time translation solution that will be used solely by them and cannot be mined for data. Bert Wylin (MA Applied Linguistics – Roman languages) has both an academic and a business profile. He works at the K.U.Leuven since 1993, doing research in the fields of technology supported teaching and (language) learning. In 2001, he founded a spin-off company, now merged into Televic Education, developing and servicing educational e-learning and e-assessment projects worldwide and specializing in languages and computer assisted language learning (CALL). The Translation department of the KU Leuven researches the revision and correction of translations. Recently we joined forces with Televic to build our own tools for smart translation revision: we are interested in the “waste”, in the errors that translators make. From a didactical point of view, the analysis of those errors is as interesting as the correct translation. We will show which (game changing) teaching and learning conclusions we can draw from the analysis of the “waste mountain”. TranslationQ and RevisionQ are two tools to evaluate and score translations. Translation evaluation is an important and labour intensive task in the training and in the selection of good translators. Mostly this work is done by human evaluators and has to be repeated for every single translation. Our academic experiments have proven that both tools are as accurate and even more objective than a human evaluation. TranslationQ and RevisionQ are especially useful to evaluate large groups of candidates. Finally, the language correction algorithms have been developed to be language independent, making the tools useable for many language combinations. Over the last 20 years Neil has worked in a variety of European Product Management & Marketing Management positions for international companies and is well versed in the challenges that come with localising content for multiple European markets. 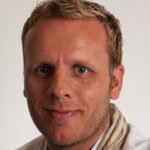 As Product Marketing Manager at SDL for Translation Productivity solutions including SDL Trados Studio, SDL MultiTerm SDL Studio GroupShare, Neil is a firm believer that even though today’s technology has dramatically aided the delivery and management of localised content, the next few years ahead are going to be even more exciting and dramatic, trends such as IOT and on demand digital experiences that will only serve to accelerate the demand for content in local language. So the need to be ready is paramount!